Our team at Magic London Carpet Cleaners in Fortune Green (NW2) provides professional office and domestic carpet cleaners services at very affordable prices. We are in the business for many years now and we trying to satisfy every client requirements. For more information, you can call us on 0208 861 0979 or use the contact form below. Our carpet cleaning specialists use the latest carpet cleaning methods and equipment to ensure an efficient and affordable service to our committed customers. If you need carpet cleaning, Magic London Carpet Cleaners in Fortune Green (NW2) has trained and certified professionals to provide you with the best carpet cleaning services in London. 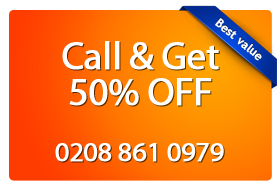 Contact Magic London Carpet Cleaners in Fortune Green (NW2) for all you carpet cleaning solutions. You can contact us anytime of the day on 0208 861 0979. Our friendly assistants can reply to all questions you have about our services. We can make for you a price estimate for free. Also you can use our booking form .